The Vaccaei or Vaccei were a pre-Roman Celtic people of Spain, who inhabited the sedimentary plains of the central Duero valley, in the Meseta Central of northern Hispania (specifically in Castile and León). Its capital was Intercatia in Paredes de Nava. The Iberian Peninsula in the 3rd century BC. The Vaccaei were probably largely of Celtic descent and probably related to the Celtiberians. Their name may be derived from the Celtic word vacos, meaning a slayer, since they were celebrated fighters. However, some scholars have reasoned that the name ‘Vaccaei’ may actually derive from ‘Aued-Ceia’, a contraction of Ceia, the presumed ancient name of the modern river Cea, prefixed by the Indo-European root *aued- (water). They often acted in consort with their neighbours, the Celtiberi, suggesting that they may have been part of the Celtiberian peoples. They had a strict egalitarian society practising land reform and communal food distribution. This society was part of an Hispano-Celtic substrate, which explains the cultural, socio-economic, linguistic and ideological affinity of the Vaccaei, Celtiberians, Vettones, Lusitani, Cantabri, Astures and Callaeci. The Vaccean civilization was the result of a process of local evolution, importing elements from other cultures, whether by new additions of people or cultural and trading contacts with neighbouring groups. It is also believed that it was from the Vaccei that the warlike Arevaci stemmed from around the late 4th Century BC to conquer the eastern meseta. Archeology has identified the Vaccei with the 2nd Iron Age ‘Duero Culture’ – which evolved from the previous early Iron Age ‘Soto de Medinilla’ (c. 800-400 BC) cultural complex of the middle Duero basin –, being also affiliated with the Turmodigi. This is confirmed by the stratigraphic study of their settlements, where have been found elements of the Vaccean culture on top of the remains of earlier cultures. For example, at Pintia (modern-day Padilla de Duero – Valladolid), there is evidence of continuous human settlement since Eneolithic times to the Iron Age, when the Vaccean period arose. The necropolis at Pintia is currently being excavated by an international field school students’ team every summer under the supervision of the University of Valladolid and the Federico Wattenberg Center of Vaccean Studies. The Vaccei were considered the most cultivated people west of the Celtiberians, and were distinguishable by a special collectivist type social structure, which enabled them to exploit successfully the wheat- and grass-growing areas of the western plateau. The Vaccean homeland extended throughout the center of the northern Meseta, along both banks of the Duero River. Their capital was Pallantia (either Palencia or Palenzuela) and Ptolemy lists in their territory some twenty towns or Civitates, including Helmantica/Salmantica (Salamanca), Arbucala (Toro), Pincia or Pintia (Padilla de Duero – Valladolid), Intercatia (Paredes de Nava – Palencia), Cauca (Coca – Segovia), Septimanca (Simancas), Rauda (Roa), Dessobriga (Oserna) and Autraca or Austraca – located at the banks of the river Autra (Odra), seized from the Autrigones in the late 4th century BC – to name but a few. Although its borders are difficult to define, and shifted from time to time, it can be said to have occupied all of the province of Valladolid, and parts of León, Palencia, Burgos, Segovia, Salamanca and Zamora. By the time of the arrival of the Romans, the Cea and Esla rivers separated the Vaccaei from the Astures in the northwest, while a line traced between the Esla and the Pisuerga rivers was the border with the Cantabri. To the east, the Pisuerga and Arlanza rivers marked the frontier with the Turmodigi, and a little farther south, the Arevaci were their neighbors and allies. On the south and southeast lay the Vettones in an area that roughly corresponds to the distribution of verracos around the highlands of Ávila and Salamanca and Aliste (Zamora), between them and the Lusitanians. It is likely that there was some contact with the latter to the west of Zamora. Traditionally aggressive, the Vaccei were far from being the “harmless and submissive nation” portrayed by Paulus Orosius. They participated in the 5th century BC Celtici migrations alongside off-shots of the Arevaci and Lusones to settle in the west and southwest regions of the Iberian Peninsula. 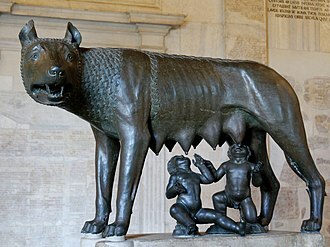 In the early 3rd Century BC they aided the smaller Turmodigi people in their liberation from the rule of the Autrigones. The Vaccei enter the historical record around the late 3rd century BC, when in 221-220 BC they allied themselves with the Carpetani and Olcades to thwart Hannibal Barca’s offensive into their respective territories, but they were defeated after the fall of Salmantica and Arbucala to the Carthaginians. The Vaccei appear to have taken no part in the 2nd Punic War, though in 193-192 BC they joined the combined force of Carpetani, Vettones, and Celtiberians that was defeated by Consul Marcus Fulvius at the battle of Toletum. Alongside the Lusitani, they were again beaten by the Praetor of Hispania Ulterior Lucius Postumius Albinus during its first incursion into the central Meseta in 179 BC. 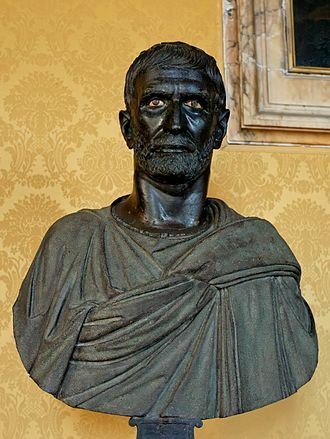 Allies of the Arevaci during the Celtiberian Wars, the Vaccei assumed a more important role by supporting their neighbors, despite being subjected to the punitive campaigns carried out by the Roman Consuls Lucius Licinius Luculus (151-150 BC), Marcus Popilius Laenas (139-138 BC) and Marcus Emilius Lepidus (137 BC). After the destruction of Numantia in 134-133 BC, the Vaccei were technically submitted and included into Hispania Citerior province; however, during the Sertorian Wars they lend their support to Quintus Sertorius, with several Vacceian towns remaining loyal to his cause even after his death. In 76 BC, Sertorius’ sent one of its cavalry commanders, Gaius Insteius, to the vacceian country in search of remounts for its battered mounted troops. The backlash came in 74 BC when Proconsul Pompey besieged the vacceian capital Pallantia, setting on fire its adobe brick walls and stormed Cauca. Defeated in 73 BC by Quintus Caecilius Metellus Pius and Pompey, the Vaccei rose again in 57-56 BC in a joint uprising with the Turmodigi and northern Celtiberians, only to be crushed by the Praetor of Citerior Quintus Caecilius Metellus Nepos Iunior. Pressured by Astures' and Cantabri raids, the Vaccei rebelled a last time in 29 BC, just prior to the Astur-Cantabrian wars, only to be subdued by Consul Titus Statilius Taurus. The Vaccei were later aggregated to the new Hispania Terraconensis province created in 27 BC by Emperor Augustus. The Basques came to be called mistakenly Vaccaei and Vacceti by several early medieval chronicles and authors. ^ Cremin, The Celts in Europe (1992), p. 57. ^ a b c d Ó hÓgáin, Dáithí (2002). The Celts: A History. Cork: Collins Press. p. 75. ISBN 0-85115-923-0. ^ Martino, Roma contra Cantabros y Astures – Nueva lectura de las fuentes, p. 18, footnote 14. ^ Almagro-Gorbea, Martín; Alberto J. Lorrio (2004). "War and Society in the Celtiberian World". Journal of Interdisciplinary Cetlic Studies. 6. ^ Cólera, Carlos Jordán (March 16, 2007). "The Celts in the Iberian Peninsula:Celtiberian" (PDF). e-Keltoi. 6: 749–750. Retrieved 16 June 2010. ^ Diodorus Siculus, Bibliothekes Istorikes, V: 34, 3. ^ Paulus Orosius, Historiarum adversus Paganus, 5, 5. ^ Livy, Ab Urbe Condita, 21: 5. ^ Polybius, Istorion, 3, 13. ^ Livy, Ab Urbe Condita, 37: 7, 6. ^ Livy, Ab Urbe Condita, 40: 35, 39, 44, 47-50. 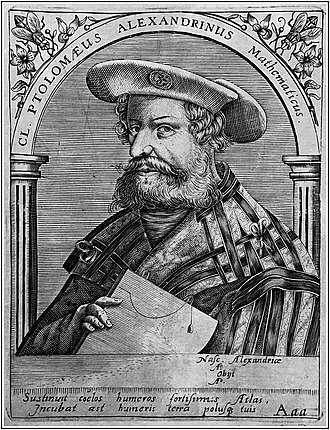 ^ Appian, Romaika, 6, 51-52; 54. ^ Appian, Romaika, 17, 79. ^ Livy, Fragmenta Librii, 91. ^ Appian, Romaika, 1, 112. ^ Frontinus, Stratagemata, II, 11, 2. ^ Cassius Dio, Romaïké istoría, 39, 54. Collins, Roger, The Vaccaei, the Vaceti, and the rise of Vasconia, Studia Historica VI. Salamanca, 1988. Reprinted in Roger Collins, Law, Culture and Regionalism in Early Medieval Spain. Variorum (1992). ISBN 0-86078-308-1. Cremin, Aedeen, The Celts in Europe, Sydney, Australia: Sydney Series in Celtic Studies 2, Centre for Celtic Studies, University of Sydney (1992) ISBN 0-86758-624-9. Leonard A Curchin (5 May 2004). The Romanization of Central Spain: Complexity, Diversity and Change in a Provincial Hinterland. Routledge. pp. 37–. ISBN 978-1-134-45112-8. They spoke a Q-Celtic language related to Northeastern Hispano-Celtic, usually called Gallaic, Gallaecian, or Northwestern Hispano-Celtic. The region was annexed by the Romans in the time of Caesar Augustus during the Cantabrian Wars, the fact that the Gallaeci did not adopt writing until the first contacts with the Roman Empire makes the study of history before the first contacts with Romans impossible. The attack on these Southern Gallaecian peoples, probably in the modern Alto Douro, near the border with Vettones, had a character of punishment, the Gallaeci were a local Atlantic Bronze Age people. 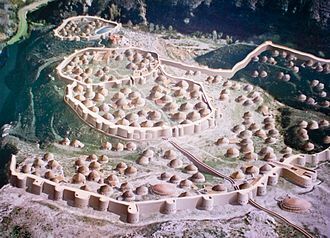 During the Iron Age they received several influences, from central-western Europe, the Gallaeci dwelt in hill forts, and the archaeological culture they developed is called Castro culture, a hill-fort culture with round houses. 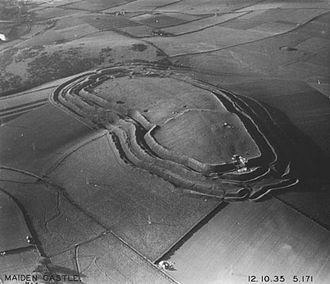 However, an important quantity of Gallaecian hillforts continued to be inhabited until the 5th century AD and these fortified villages tended to be located in the hills, rocky promontories and peninsulas surrounded on the sea, it improved its visibility and the domain over territory. The location of settlements was studied to a better control of natural resources used by its inhabitants. Gallaeci tribes, The Romans named the region north of the Douro. The Romans established a city in the south of the region which they called Portus Calle, todays Porto, when the Romans first conquered the Callaeci they ruled them as part of the province of Lusitania but created a new province of Callaecia or Gallaecia. The names Callaici and Calle are the origin of todays Gaia, besides, many of the isolated words of Celtic origin preserved in the local Romance languages could have been inherited from these Q-Celtic dialects. This will highlight the following, Gallaecian God of War, similar to the Roman god, great success among the Gallaeci of Braga. Berobreus, god of the Otherworld and beyond, the largest shrine dedicated to Berobreo documented until now, stood in the fort of the Torch of Donón, in the Morrazos Peninsula, front of the Sias Islands. Bormanicus, god of hot springs similar to the Gaulish god, goddess of waters, of fountains and rivers. 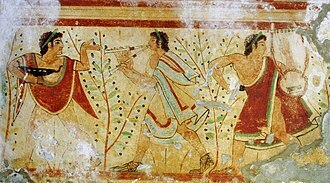 The Arevaci or Aravaci, were a Celtic people who settled in the Meseta Central of northern Hispania and which dominated most of Celtiberia from the 4th to late 2nd centuries BC. 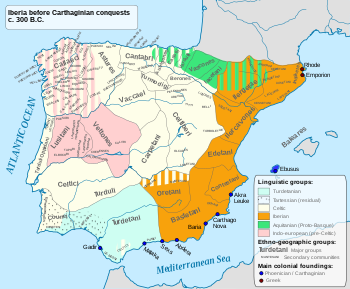 The Arevaci were of Celtic origin and part of the Celtiberians, there is an overwhelming amount of evidence that the ancestors of the Celtiberian groups were installed in the Meseta area of the Iberian peninsula from at least 1000 BC and probably much earlier. This led some historians to state that the Arevaci were actually an off-shot of the latter. They founded or seized several important city-states in northern Celtiberia, namely Clunia, Voluce/Veluka, Uxama Argelae, Termantia named Termes or Termesos and Numantia. Other towns often mentioned in the sources, such as Segovia, Comfluenta, Lutia, Mallia and Colenda have not yet been located. In the late 4th-early 3rd centuries BC however, the Arevaci shifted the direction of their expansion to the east, towards the upper Duero and south into the central Iberian system mountains. The Bulls of Guisando, in El Tiemblo, Castile and León, Spain. Verraco in Mingorría, Castile and León, Spain. Verraco located in the Plaza mayor of Villanueva del Campillo. It is the Vettones's largest zoomorphic sculpture found until now in the Iberian Peninsula. Verracos in Villatoro, Castile and León, Spain. Peña Furada in Sierra de la Culebra near Gallegos del Campo. Partial view of the Castro de Santa Tegra, an oppidum from the 2nd century BC. The Fonte do Ídolo (Portuguese for Idol's Fountain), in Braga. Southern view of Coca Castle. The 15th century Coca Castle at night. The Cea River as it runs through Mayorga.